Access to fresh produce and healthy food is not always a reality for residents of Athens, Georgia. Many sectors of Athens are considered to be food deserts, regions “vapid of fresh fruit, vegetables, and other healthful whole foods, usually found in impoverished areas,” as defined by the USDA. When individuals without adequate means of transportation live in areas that lack grocery stores, shopping choices often become limited to corner stores where healthy food options and produce are unavailable. Even when the options are present, many people in Athens rely on food stamps for their groceries and cannot afford to purchase healthy foods. 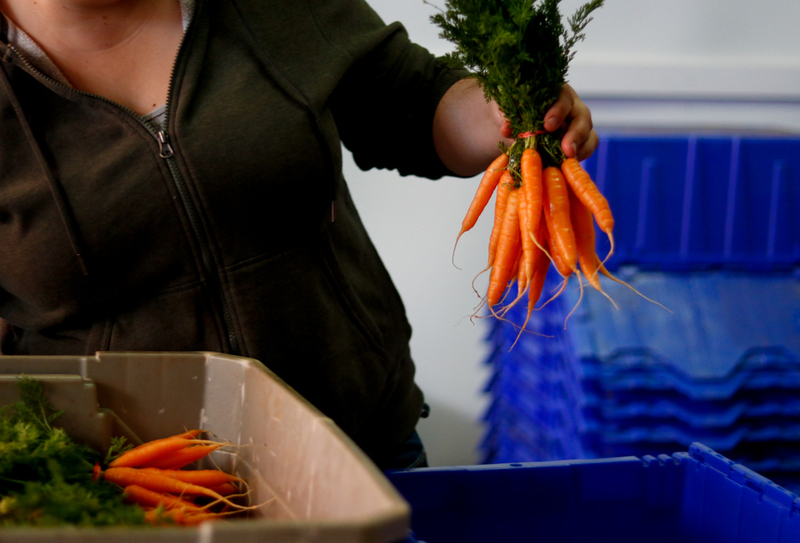 Programs to combat the issue of healthy food access and availability in Athens do exist. These markets and outreach organizations aim to bring quality, locally-sourced foods directly to consumers who otherwise may not have access to them. The Athens Farmers Market is a hub for locally-grown, fresh food that serves a wide range of consumers. The market implements Supplemental Nutrition Assistance Program (SNAP) doubling, where Electronic Benefits Transfer (EBT) dollars count for twice as much as they would in a normal store, allowing low-income buyers to make purchases they wouldn’t normally be able to afford. The market began SNAP doubling in 2010 and has doubled hundreds of thousands of dollars worth of fresh produce over the last eight years. In addition to SNAP doubling, the Athens Farmers Market also recently implemented the Fruit and Vegetable Prescription Program (FVRx) in the spring of 2017. Community members with diet-related illnesses can receive prescriptions for fruits and vegetables from medical professionals which they can then redeem for produce at the market. Thurman explained that the FVRx program caters mainly to the Athens immigrant population, an underserved market in terms of healthy food access. In addition to making the food accessible, the Athens Farmers Market also offers transportation to people in the FVRx program in order to provide a safe ride to and from the market for individuals who otherwise might be hesitant to come. For University of Georgia student, Jaiko Celka, Facebook was the unlikely source of inspiration behind her latest project, a mobile farmers market catering to low-income individuals with limited access fresh produce. Celka saw a video online about a similar program in Canada and knew Athens could benefit from having a mobile market of its own. After months of planning, writing and applying for a grant through the UGA Office of Sustainability, the fruits of Celka’s labor were rewarded with funding for the project and Market on the Move was born. Market on the Move used the grant funding to purchase produce from local farms that is then resold each week at three locations in food desert areas of Athens, the Boys and Girls Club, Denny Tower and Fourth Street Village Apartments. The mobile market focuses on the issue of accessibility by bringing fresh produce into these food deserts. Affordability is also prioritized by offering SNAP doubling as a way to make healthy food shopping available to a wider group of people. Community Supported Agriculture (CSA) is a collaboration between farmers and consumers. 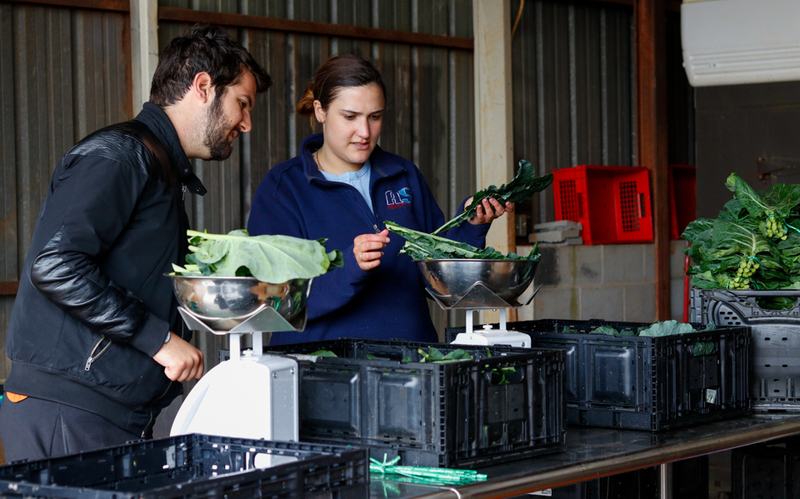 Collective Harvest partners with Athens-area farmers to source high quality, sustainably-farmed food and bring it directly to the local community. To become a member of the CSA, you must sign-up in advance, so farmers can make plans for how much of each crop to grow that season. Members commit to paying for 2-3 month periods of weekly produce, no matter what the farms are growing at the time. This means you don’t always know what you’ll get. Rachel Vaughan, Collective Harvest CSA manager, understands the intimidation that comes with cooking new or unfamiliar foods. She provides customized recipes to accompany weekly CSA bundles and encourage members to try new things in the kitchen. These same items can be purchased in a grocery store, but Vaughan says people make the commitment to purchase CSA shares with the knowledge that what they are receiving is fresh, typically 1-2 days post-harvest. In a grocery store, those same products have a much longer journey to the shelf, sometimes taking weeks to be transported from farmer to supplier to consumer. What started as a vision by a group of University of Georgia students nearly 10 years ago has quite literally grown into something much larger. UGArden is a student-run teaching garden with the mission of bringing sustainably-grown food to less fortunate members of the Athens community. This goal is accomplished through partnerships with local schools and other organizations including Campus Kitchen, the UGA hunger relief program. Under the supervision of University of Georgia professors and farming experts, students and community volunteers plant, weed and harvest crops that will then be donated to partner organizations and distributed throughout the community. Any produce that does not get donated is sold to the public at a low price and is also eligible for a SNAP doubling cost reduction for anyone paying with EBT. Run through the Office of Service Learning at the University of Georgia, Campus Kitchen has a mission to bring food to a specific, underserved people group in Athens: senior citizens. Campus Kitchen coordinator, Brad Turner, explained that senior isolation and food insecurity often go hand-in-hand. The student-run organization partners with local farms and grocery stores to bring surplus food to the elderly and their families while also providing intergenerational connection and social interaction. Turner first became involved with the hunger relief program for the simple fact that he wanted to stop seeing food end up in the trash. Food that is nearing its marked expiration date is sometimes thrown out by grocery stores because it’s less desirable to customers looking to purchase items with a longer shelf life. That’s where Campus Kitchen comes in. Students volunteer to collect and sort food donated from UGArden and partner grocery stores, Trader Joe’s and The Fresh Market. That food is then distributed to seniors in the form of weekly grocery bags and individual meals planned and prepared by volunteers.